It is supposed to be a joke, but I find that chile con queso can, in actual fact, make most people quite happy! 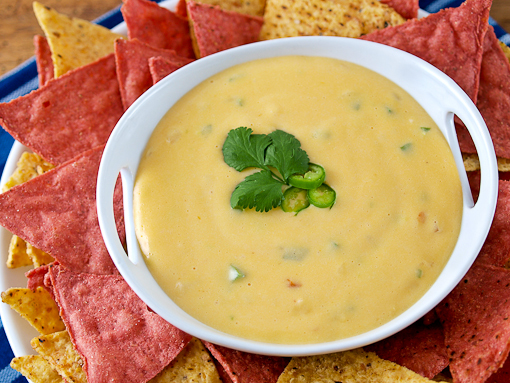 It may just be a Texas thing, but whenever people gather to have a party – be it watching sports, celebrating a birthday, or ringing in the holidays – there will inevitably be a slow cooker filled with queso. 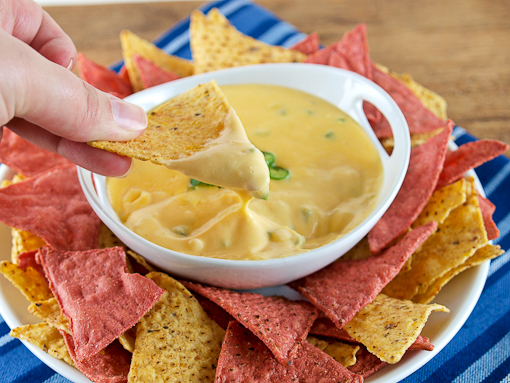 Perfect queso, for me, is smooth and thick, but not so thick you break your chip in it, and it should have a sharp cheese flavor accented with a little heat. As much as I love queso, I am not blind to the fact that much of what is out there is bad. Dismal really. It ranges from bland and watery to thick as tar, and it is often made with a brick of processed neon orange cheese. If you decide to forgo the processed cheese you may find yourself whisking a pot of gloopy cheese sauce that, more often than not, breaks under the weight of its own cheesiness. I know, I have had or made a lot of bad queso in my time. But, no more! This is about as good as homemade queso gets, if you ask me. 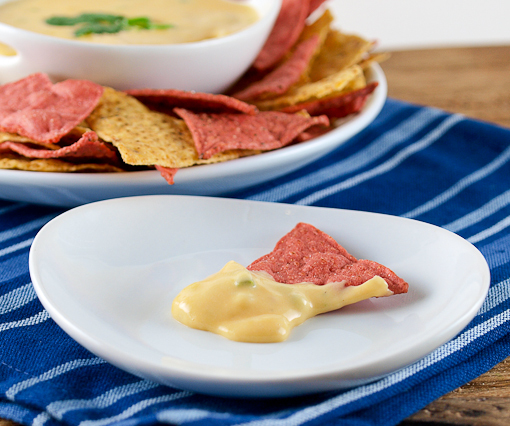 It is super creamy, very flavorful, and it has just the right thickness for dipping – it clings to the chip with out clumping or running off like water. 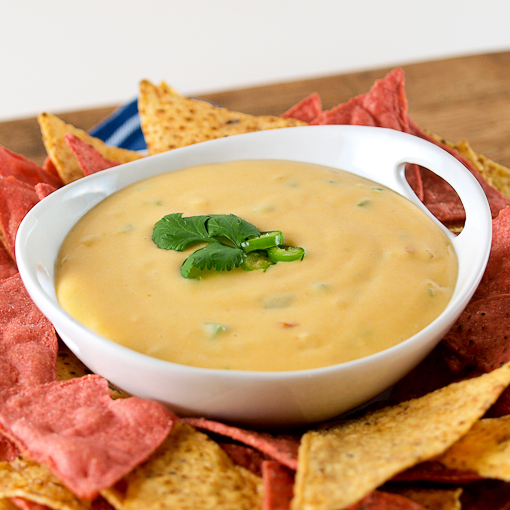 Unlike the queso made with processed cheese it never gets hard like a lump of cheesy clay. Even refrigerated it stays smooth and fairly loose. You can use whatever kind of cheese you like here as long as it melts smoothly. I opted for some medium cheddar blended with just a touch of smoked cheddar. I like the slight tang combined with the hint of smoke of this blend, but you could also use pepper jack, Monterrey jack, or any blend you like and get excellent results. The only caveat is that you MUST use full fat cheese and you MUST grate it yourself. I know it is tempting to by the ready grated cheese in the handy little zip bags, but that cheese is coated in an anti-caking agent that can make your carefully crafted cheese goodness gritty. You don’t want that. This holds well in a low slow cooker, just stir it often to prevent burning, and if you have left overs you can reheat them in a pot over low heat until warm. In the work bowl of a blender combine the evaporated milk, eggs, cornstarch, and hot sauce. Blend until smooth and well combined, about 30 seconds. Set aside. 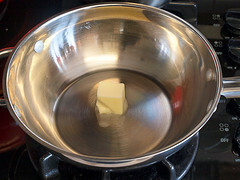 In a saucepan over medium heat add the butter. 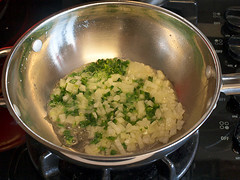 Once the butter foams add the onion, jalapeño, and Serrano. Cook, stirring often, until soft, about 3 minutes. 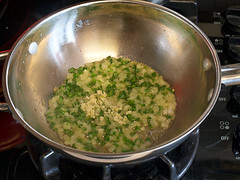 Add the garlic and cook until fragrant, about 30 seconds. 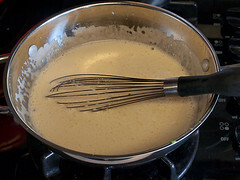 Reduce the heat to medium-low and add the milk and egg mixture. 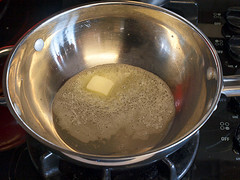 Cook, whisking constantly, until the mixture thickens and comes just to a simmer, about 8 minutes. 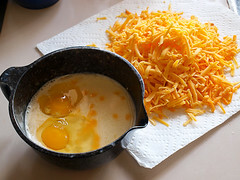 Reduce the heat to low and, in three additions, add the shredded cheese, making sure the first addition is melted before adding the next. Season with salt. © 2012 – 2014, Evil Shenanigans. All rights reserved.